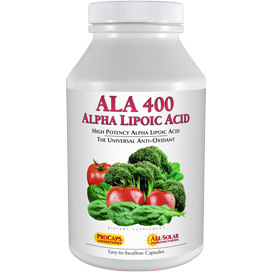 Provides the FDA approved ingredient to help reduce Total and LDL cholesterol levels. 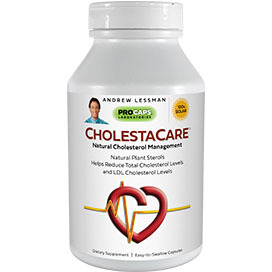 ANDREW LESSMAN'S CholestaCare is an effective, natural formula providing our unique phytosterol blend, designed to support heart health by helping to reduce Total Cholesterol and LDL Cholesterol levels. Medical experts recognize that our Total Cholesterol and LDL (Low Density Lipoprotein) Cholesterol levels are important indicators of our cardiovascular health or risk. 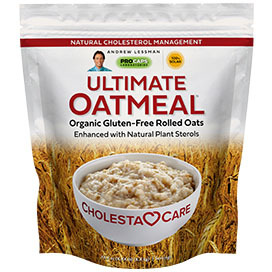 The Food and Drug Administration now recognizes that Phytosterols, like those contained in CholestaCare, provide a natural means of lowering Total and LDL Cholesterol and thereby supporting heart health. Although naturally present in fruits, vegetables and grains, most Americans do not consume adequate amounts of these foods to achieve the recommended levels of the plant sterols necessary to positively affect their Cholesterol levels. Moreover, the foods that most Americans consume tend to deliver high levels of saturated fats and cholesterol, which can increase Total Cholesterol and other cardiovascular risk factors. Scientific evidence establishes that including adequate amounts of plant sterols in the diet helps to lower Total Cholesterol and LDL Cholesterol levels, which is important for heart health since high Total Cholesterol and high LDL Cholesterol levels are associated with an increased risk of developing coronary heart disease. According to the US Food and Drug Administration, consuming at least 400 mg per serving of plant sterols twice daily with meals for a daily total intake of at least 800 mg, as part of a diet low in saturated fat and cholesterol, may reduce the risk of heart disease. A capsule of CholestaCare supplies 400 milligrams of plant sterols. Of course, an intelligent approach to heart health and cholesterol reduction involves more than simply consuming CholestaCare daily and should also include a sensible dietary, exercise and weight control program under the guidance of a health care professional. Consume one or two capsules with each meal or snack depending on the amount of food consumed – with small meals or snacks consume a single capsule and with larger meals, 2 capsules. Minimum effective dosage is 2 capsules daily. There is no increased benefit from taking more than 2 capsules per meal or a total of six capsules daily. CholestaCare is intended to be taken immediately before, during or within 60 minutes of finishing eating. 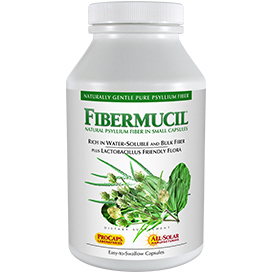 This product is most effective at reducing cholesterol when used as part of a low cholesterol, fiber-rich diet or when consumed with a natural fiber supplement, such as our Fibermucil. For answers to questions about the use of this product, call 800.808.7311. After 3 months of taking CholestaCare (4 per day) and a few adjustments to my eating habits, my numbers are down! Total cholesterol is down 12.5%, LDL(bad) down 18%, triglycerides down 12%, and HDL(good) up 10%. My numbers speak for themselves and I'm thrilled with the results. This excellent product makes me feel confident that I will achieve my long-term goal of not starting statins and that is truly life changing for me. Highly satisfied, highly recommend CholestaCare, and I'm a customer for life! THANK YOU Andrew! I have an auto immune issue that results in poor total cholesterol numbers. Nothing I have done in the past lowered these numbers. Of course my doctor was concerned when my numbers went up to 320. She pushed for drugs and I pushed for 1 more try at lowering it myself. I should have tried Andrew Lessman sooner but...I began taking Cholestacare January 1st, 2 - 4 per day. I followed a lower cholesterol eating plan, which did not work in the past. Had my blood work done February 20 and total cholesterol is 210!! Doc is thrilled. We will recheck cholesterol in 8 weeks. I am adding Andrew Lessman Krill oil to help raise HDL. Stay tuned. My PCP checked my cholesterol in September 2017 and gave me 3 months to work on my numbers and then we would re-check my blood work. My total Cholesterol was 226 in September. I ordered the ClolestaCare on 10/23 and had them within a few days. I didn't really "diet", but I started eating a lot more beans and riced cauliflower instead of rice, and saved my eggs for breakfast for weekends only. In any case, I had blood drawn on December 13th and when the results came back, I was floored. My Cholesterol went from 226 to 189!!! My PCP called me with the results and asked what I was doing so I told her. My other numbers were good as well...My HDL went up (64 to 66), my LDL went down (121 to 105) and my Triglycerides wend down (205 to 91). I am attributing my numbers to the CholestaCare! This product does exactly what it says it does. My numbers are proof. So if you have any issues, I definitely suggest giving this a try before you go on medication. Awesome product. Thank you very much Andrew!!! Last year my lab results showed that my Cholesterol was at 208. I started to take Cholestacare, Choconuvo, Fibermucil, and Berberine. I got my recent lab results today and my Cholesterol number is now 171. The only change I made was taking these products. Numbers don't lie. This vitamin really works. My husband's blood work proofs it. Thank you Andrew. These vitamins really work. My husband's blood work proofs it. Very happy with this product. Thank you Andrew. I started taking this right after my annual physical in 2015. Took it for one year until my next annual physical in 2016. My total cholesterol dropped 25 points! My good cholesterol is up and my bad cholesterol is down. I am very grateful to Andrew for making this product as I was getting close to having to take a statin to control my cholesterol. But with this product I now have cholesterol within the normal range. I take one at lunch and two at dinner. Thanks Andrew! I am sooooo shocked. 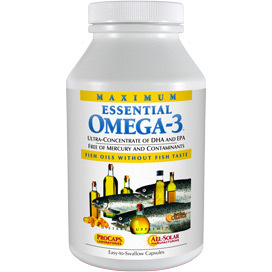 I had elevated cholesterol and used this product fairly diligently. Had my cholesterol checked in Oct and my total cholesterol and LDL was elevated, while my HDL was low. I had labs done last wk to see if this works, and low and behold my good cholesterol was increased HDL, and my total cholesterol was decreasedd, as was my LDL. (I think I got that right...the good went up, the total went down!! Now my husband wants to try it so he can eventually go off his meds. 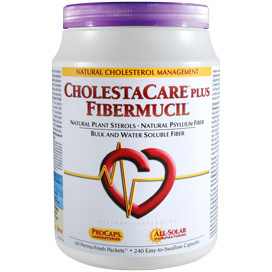 "BEST CHOLESTEROL LOWERING NATURAL PRODUCT"
Easy solution to a bad problem. I started using this product in October. I faithful took 2 caps with every meal. I carry them in my purse so I always have them with me. I had my wellness exam last week. My cholesterol numbers were the best they have been in the past ten years. Thank you Andrew for this product. This is a great Cholesterol lowering supplement. I will just give it 5 stars and let people see its magic work if they try it. I take on average about 4 pills a day, both when I have my larger meals. Thank you Andrew. I am sure this is going to keep me out of the Cardiology wing of my hospital as my Cholesterol has dropped about 40-0 points, and my HDL and LDL levels have basically reversed. 5 stars for me. 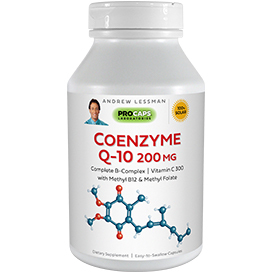 I am an honest customer of this product, and Andrew and I can prove it by my own orders of this product and many of his others, which have changed my life. My cholesterol went down from 194 to 179 after only using 2 a day for about 6 months. Switching to 3 a day, one at each meal. This product is a wow factor! I take Crestor 10mg, one time a day. I wanted to improve my cholesterol so I started taking 3 pills with each meal and 2 to 3 with a snack depending on what I had eaten. My previous blood test was 147 and this month I had it checked again. I am proud to say that it went down to 123 !!! I am wanting to stop the statin and just see what it would come out as but haven't gotten the nerve yet. I hope this helps someone out there. It is just my experience but this is a great product for me! I am 63 and it is a blessing to me to get those kinds of numbers. Dramatic Drop in Total Cholesterol! My cholesterol has been slowing creeping up over the years from 220 two years ago, to 238 last year. Then this year it was 255! My doctor wanted to put me on a statin, but I said let me try to lower it with my diet and he agreed but said he wanted to see me in two months for another blood test. I didn't think that was long enough to see any big results, but I drastically changed my diet by cutting out all processed foods, desserts, and anything with high frutose corn syrup in in, and I increased the amount of vegetables, fruit, and fish I was eating. I also started taking 3 pills a day one with each meal. I was scared of having to take a statin because of the side effects I heard about. Then about a month later, they were doing health screenings at my workplace, so I decided to do a check and see if there were any changes before going to my doctor for the full blood work in another month. I hoped it would go down by at least 10 points, but was shocked when they said it was now 185! That was a 70 point drop which I never expected. Now after my huge results, everyone is asking me to send them the link for these pills. Since high cholesterol seems to be a big problem with so many people these days, I hope more people see your site and read the reviews before resorting to taking prescriptions. I'm going to keep spreading the word! Thank you Andrew! I am 70 years old and my cholesterol has always been a bit on the high side. At my last visit my doctor said he needed to put me on a statin. I begged him to let me try to lower it on my own and immediately ordered CholestaCare. I took two capsules with each meal and on my six month checkup the doctor said my HDL was up and my LDL was down and I do not need to take a statin. I did not watch my diet during that time so I can only imagine the results at my next checkup now that I am. Thank you, Andrew, for this and all your wonderful products that continue to keep me healthy without all the terrible side effects of prescription drugs. Six months ago my doctor was making statin drug noises, which I had no intention of taking. He said he never heard of Andrew's CholestaCare, but that I could try it. The specialist I spoke with at ProCaps explained that I should take 2 with each meal and also take one whenever I ate something. I did not realize it was good to take one of the tablets even if you ate fruit etc. Anyway I took about 4 to 6 a day. When I went back for a check today, my bad cholesterol was way down and the good was way up. I ate like I normally do, and did eliminate high fructose corn syrup and most processed foods. Thanks so much for this product Andrew. I would never take anything else. Andrew, thank you so much!!!! My cholesterol on 3-31-11 was 290 total, with HDL 58, LDL 206. My doctor gave me a prescription for Crestor, which I filled, but didn't take. I read the reviews on HSN over, and over, and over again, and finally went for it. As of 7-11-11 my cholesterol is 242, my HDL 64, and LDL 148. I have taken your CholestaCare for the past 3 months, that's it! I will now order the one with fiber, and clean up my diet. This has given me such hope, my husband can not believe it and he now wants in!! Thank you for all you do!! I feel like crying I'm so happy!!! Good Health, Wanda from Eastern L.I. Last year my cholesterol was 241. Just had my yearly check-up and it is down to 179. Also my triglycerides went from 130 to 86-interesting! God bless you, Andrew, for caring enough to make such a high quality product at an affordable price!! Added to my Statin, my high triglycerides were reduced by more than half!!! I thought the lab had made a mistake! Not so! Just received my new test results. All lipids are even better than last time! Bless you! My cholesterol was somewhat high and the doc wanted me to take the standard meds. The side effects are so terrible that I refused. Instead I decided to try this. The wife buys a lot of Lessman supplements and so I didn't use this alone. I just got my lab results back today versus 6 months ago and the numbers are down dramatically, 100 points in one case and all is excellent now. I told the doctor I took this and am going to drop of the information about it at his office. He is open-minded and this may be able to help his other patients. I noted that all my other blood numbers and results came back excellent across the board and I cannot think it is a coincidence. These supplements are very beneficial. In August I had blood work for cholesterol and it was 294, my LDL was 206. My doctor suggested taking prescription meds... I decided to eat right, exercise and looked up Andrew's website to see what was available. I purchased the Cholox and take 2 capsules a day. My cholesterol as of 10/15/08 is now 194, my LDL is 123. I have taken almost all of Andrew’s vitamins, and love all of them, but this is the best. I will continue to take Andrews supplements for as long as he makes them!! This will lower your cholesterol! I take pills with each meal and it lowered my total cholesterol from 210 to 167. You won't get the benefits if you just take one or two per day. That is why you buy the 1000 size. With Cholox, taken with every meal, I was able to reduce my total Cholesterol from 207 to 168. Must take 2 to 3 capsules per day to be effective. It has not worked for me as of yet and I have been talking it for about 4 months. I take it fairly regularly, and with fiber, but I was disappointed to learn that my cholesterol had not gone down; it fact it raised up a little bit. I going to keep taking it and keep hoping; but hasn't worked yet. SADDLY TO SAY DIDN'T WORK ME. BEEN TAKING IT SINCE JAN. OF THIS YEAR. MY CHOLESTEROL WENT UP . TOOK 2 CAPS. WITH EACH MEAL. WATCH MY DIET EXECISE .AND EVEN LOST WEIGHT. I JUST CAN NOT BELIEVE IT WENT UP.I TOOK TEST IN MAY AND NOW IN JULY AND IT WENT UP AGAIN. Took 3 pills per day for four months. New blood test shows cholesterol level did not go down at all. Wasted my money on this one. I have been taking 6 capsules per day along with Fibermucil for a year and my cholesterol increased from 255 to 277 from last year's blood work to this year. Other Ingredients: Gelatin capsule, Leucine and Silicon Dioxide.